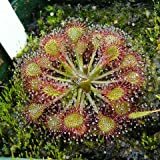 Drosera aliciae growing herbaceous carnivorous plants of the genus Drosera also known as Alice sundew, Drosera aliciae perennial evergreen used as ornamental plant, can grow in subtropics, mediterranean climate and growing in hardiness zone 9-10. 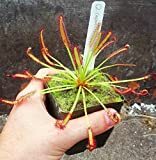 Leaves color green, red or yellow the leaves grow in rosette structure, each leaf has little antennas in the edges of the leaves the antennas color can be different than the leaves and can be in the color green, red or white, in the tip of each antenna there is round shape like pompon. 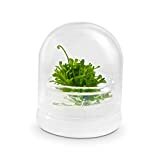 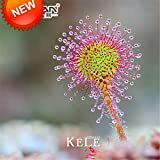 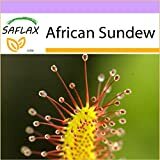 HOO PRODUCTS - Drosera Peltata Seeds Potted Plant Circular Sundew Carnivorous Plants Garden Seeds 100 Seeds / Bag New Arrival !